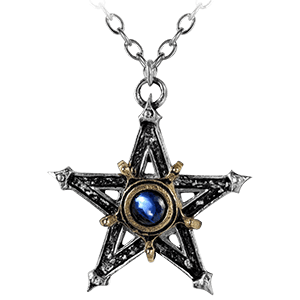 We have many styles of gothic pendants to chose from. Our gothic pendants are great for every day or special occasion use. 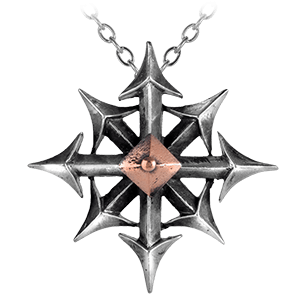 Many of our gothic pendants are cast and hand-made in fine English pewter with additional high quality crystals and other components, and hand-plated or given a two-tone finish. These gothic pendants come complete with a nickel free chain or other necklace of appropriate length. These pewter gothic pendants are made in Sheffield, England and crafted by master craftsman, who are members of The Worshipful Company of Pewterers. 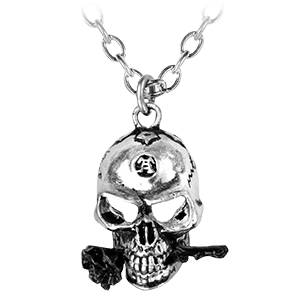 They are the only manufacturer of high quality pendants in their gothic collection of fine pewter jewelry. 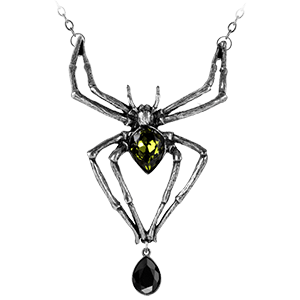 We have hundreds of gothic pendants that include skull pendants, dragon pendants, pentagram pendants, spider pendants, bat pendants, and cross pendants. 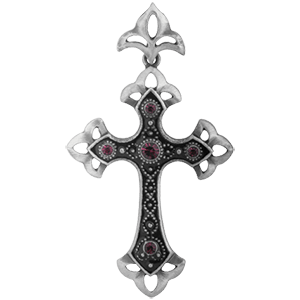 We carry many styles of cross pendants that have a gothic style, and many of our gothic cross pendants are made of fine English pewter from Sheffield, England. An advantage of these pewter cross pendants is that it does not need regular polishing to maintain its gorgeous appearance. Pewter jewelry does not tarnish like silver jewelry. To keep your gothic cross pendant bright and shiny, an occasional cleaning with a quality proprietary metal polish will keep it looking brilliant. We offer cross pendants in a variety of styles, including dark cross pendants, chaos cross pendants, Ankh pendants, church cross pendants, and Catholic cross pendants, all with a gothic twist. 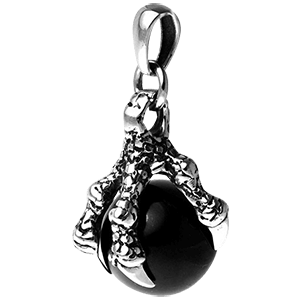 We offer a massive selection of pewter dragon pendants with gothic flair. Many of these gothic dragon pendants are hand crafted by master craftsman, who are members of The Worshipful Company of Pewterers made in Sheffield, England. These pewter dragon pendants are the perfect addition to any gothic jewelry collection or dragon lover. 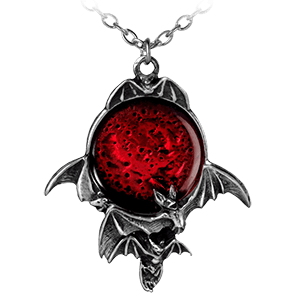 Our gothic dragon pendants are great for everyday use, as unique personal accents, and for wearing to special events and occasions.